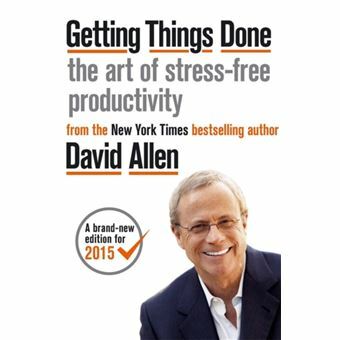 Since it was first published almost fifteen years ago, David Allen's Getting Things Done has become one of the most influential business books of its era, and the ultimate book on personal organization. 'GTD' is now shorthand for an entire way of approaching professional and personal tasks, and has spawned an entire culture of websites, organizational tools, seminars, and offshoots. Since it was first published almost fifteen years ago, David Allen's "Getting Things Done" has become one of the most influential business books of its era, and the ultimate book on personal organization. 'GTD' is now shorthand for an entire way of approaching professional and personal tasks, and has spawned an entire culture of websites, organizational tools, seminars, and offshoots. Allen has rewritten the book from start to finish, tweaking his classic text with important perspectives on the new workplace, and adding material that will make the book fresh and relevant for years to come. This new edition of "Getting Things Done" will be welcomed not only by its hundreds of thousands of existing fans but also by a whole new generation eager to adopt its proven principles.